Barb Jones has possibly a couple hundred Moo Cow Creamers and other Whirley Industries plastic products. This is a Moo Cow with a flower front. This week’s column is, strictly speaking, a bit of a departure from York County’s borders. However, it involves two very cool, VERY York County people, so I hope you’ll indulge me. Picture it: Western York County, 2012. (Yes, you’ll also have to indulge me in a Golden Girls reference.) Two York Daily Record/Sunday News editors – your author and former YDR sports editor Chris Otto – are participating in the age-old Pennsylvania tradition of junk-shop browsing. The plastic mugs were of interest because, in the 1970s, when his family lived in Montoursville, Chris had acquired – from a door-to-door fundraiser, he thinks – a yellow plastic mug that had “HANDS OFF!” printed on one side and “MY MUG!” printed on the other. Former YDR sports editor Chris Otto found this mug in the penny sheds at the former Megatronix on Route 30 west of York back in 2012. He’d had a similar mug from the 1970s until 2006, when it was eaten by a dog, and had thought he’d never see a replacement! “They are somewhat garish, to be sure, but became more endearing with the passage of time,” he described. It traveled with Chris through college and beyond until, in 2006, an unfortunate incident involving a dog name Moose led to the mug’s demise. So, in 2012, when those mugs appeared in front of us in the Megatronix shed, Chris waded through a stack that had “AVA BEARS” printed across one side in blue lettering before finding one very scuffed “HANDS OFF/MY MUG,” then another almost-pristine one. 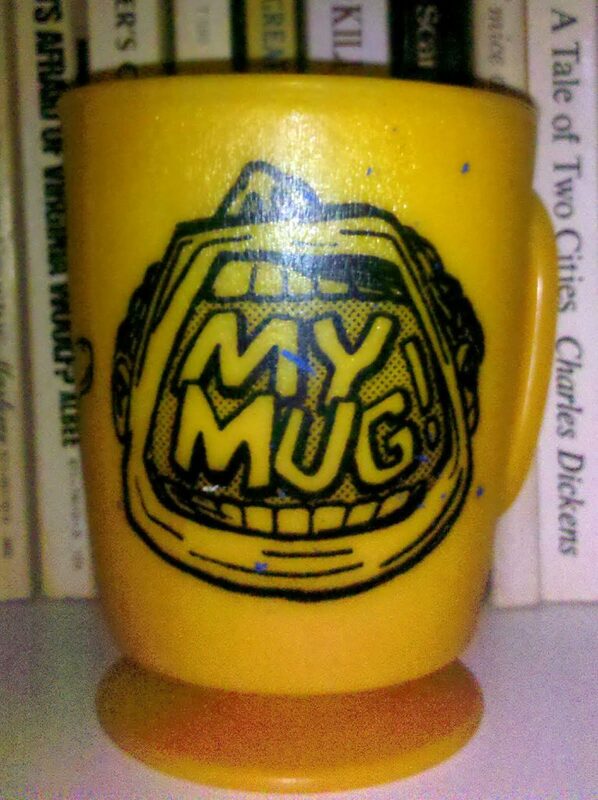 In a big expenditure for your intrepid York County junk-shoppers, three cents were spent to acquire the mint-condition “MY MUG,” as well as an “AVA BEARS” one and a “MISTER DONUT” one. Chris eventually turned up more information on these mugs, which were produced by Whirley Industries of Warren, Pa. You can read more about his findings on Papergreat by searching for Whirley at Papergreat.com. Chris also later received an email from Bob Sokolski, CEO and president of the now-renamed Whirley-DrinkWorks! company, which he shared on Papergreat as well. Bob mentioned some of the company’s other products, such as salt-and-pepper shakers and creamers that were used in restaurants. Chris Otto’s “Tower of Whirley Mugs” is seen in 2012. 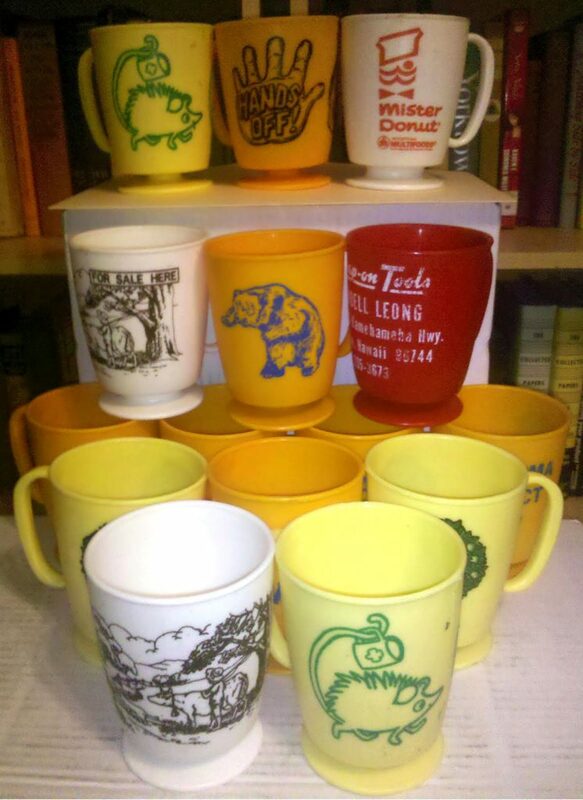 After hearing from Bob, Chris went back to Megatronix and purchased what he affectionately called the Tower of Whirley Mugs, wrote that second blog post, and, it seemed, that was where our Whirley story ended. This is… until a recent weekend, when I was scrapbooking in Gettysburg with two Only in York County readers who have become friends, sisters Barb Jones and Peg Shiley. 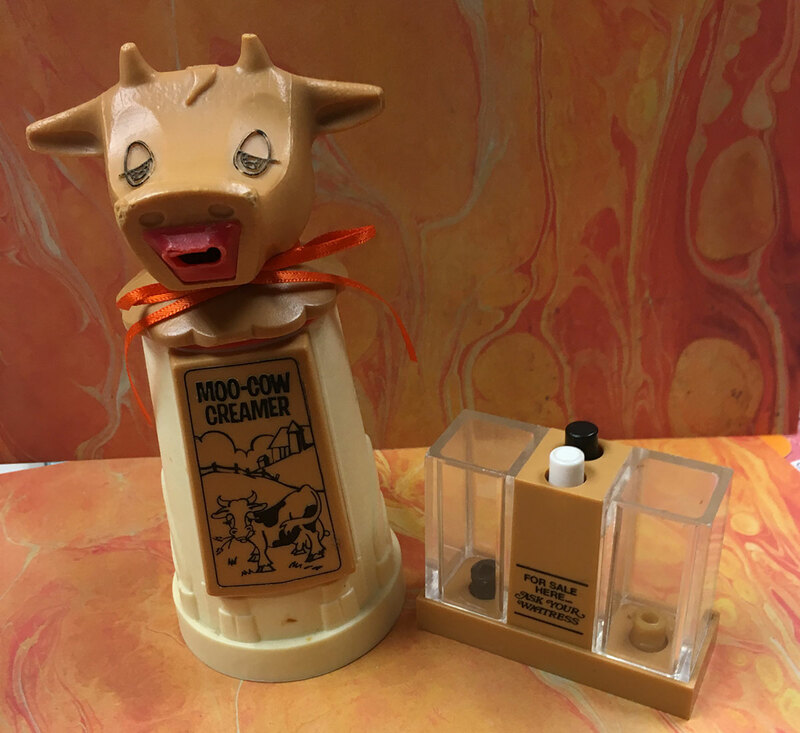 Among the Whirley items in Barb Jones’ collection are some Moo Cow Creamers like the one seen here at left, and saltshakers like the one at right. 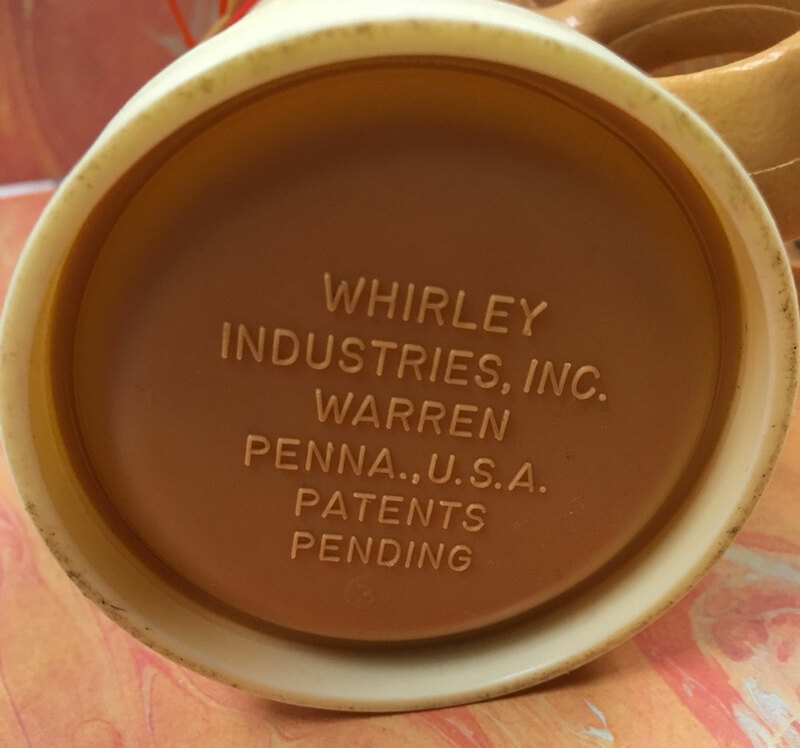 Well, as Barb pulled out a smiling cow, it turns out it wasn’t something I’d seen in my mom’s collection – but a glimpse at the bottom of the friendly creamer turned up a name that I recognized immediately: Whirley! 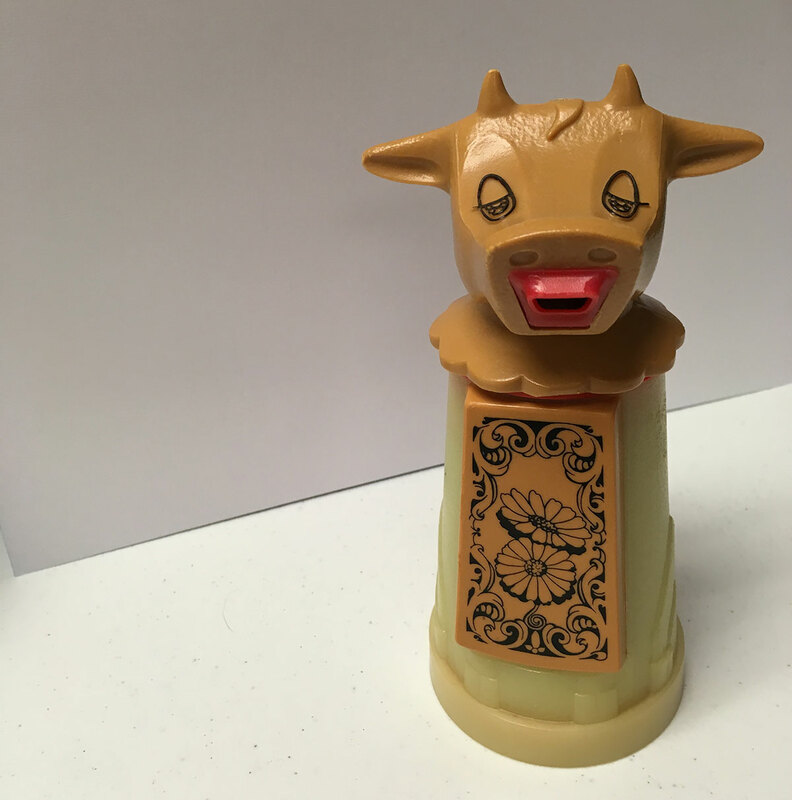 Barb Jones’ Moo Cow Creamers feature the Whirley Industries imprint on the bottom. “Hey, I know them!” I exclaimed. “I might even know their biggest fan!” I told Barb all about Chris and the mugs, thinking surely she’d be impressed at someone who managed to find and purchase a dozen or so of them in the past decade. 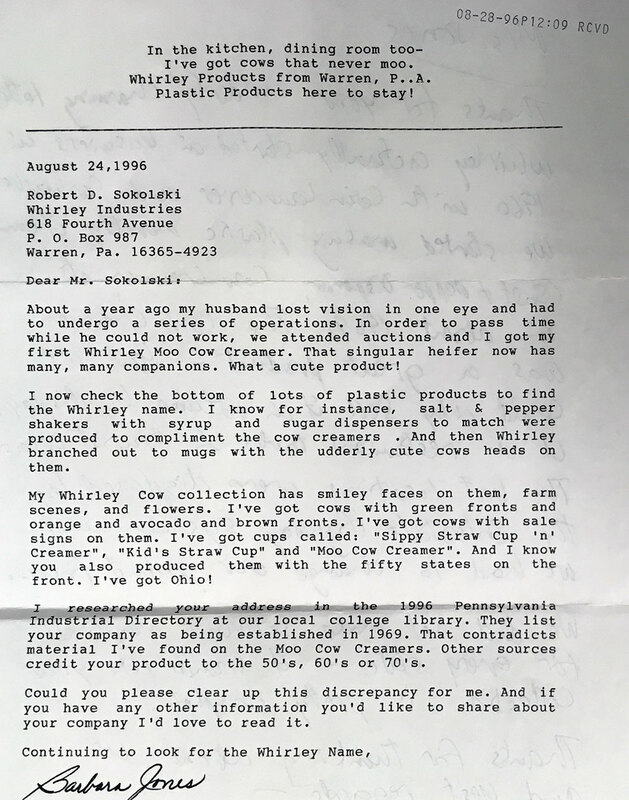 In 1996, Barb Jones typed a letter to Whirley Industries, praising their Moo Cow Creamers and seeking some details about how long they’d been in production. 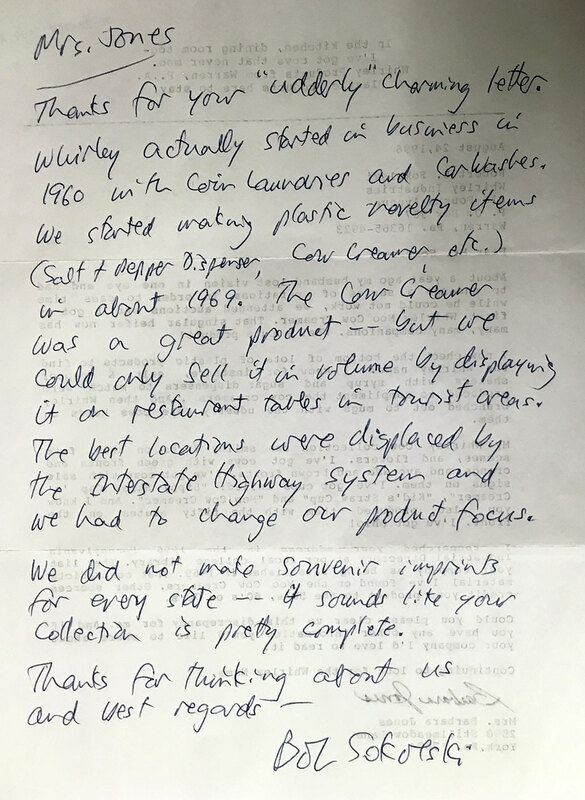 Whirley Industries CEO Bob Sokolski wrote back to Barb, praising her Whirley collection and providing some more information on their products. I was thrilled! I immediately set to taking pictures of the two creamers and salt-and-pepper shaker and letter and reply that Barb had brought along, and then I said, “Hey, I want to take your picture with these so I can use it when I write about them!” Since it was late and we were dressed for scrapbooking, not improptu newspaper photo shoots, we tabled that idea for later. Imagine my surprise, the next day, when I walked over to Barb’s table and saw the perfect photo propped up with one of her creamers. It was Barb in the middle of Moo Cow glory! 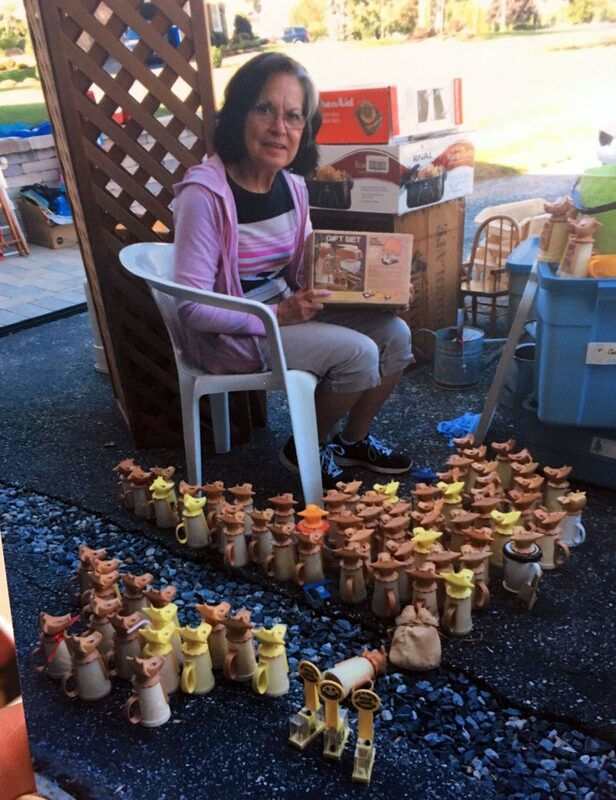 Barb Jones is seen with what she describes as “not even all of” her collection of Moo Cow Creamers and other Whirley Industries plastic products. I couldn’t wait to get home to write about the amazing coincidence of knowing what are likely the two people in the world who know almost as much about Whirley as its CEO. And with that, I hereby adjourn this meeting of the York County chapter of the Whirley Industries Fan Club, though I’d love to open the floor for comments – do you remember seeing these at Avalong’s or around other York County eateries? Do you still have any? I’d love to know, and I’m sure Barb and Chris would, too.